The sound of birds singing, leaves rustling in the wind, the smell of the sun beating down on dew soaked morning grass. This is how I wake up, every day for almost 13 years. I lived in Naalehu, Hawaii, my birthplace and winter home, and Summerland, B.C. They were two very different places, half way across the world and yet the mornings shared a lot, felt very similar. Starting every day surrounded by green was my normal, whether a muted green on a cloudy day or a vivid green on a sunny day, I remember green — that was normal. It isn’t my normal now, but those mornings have shaped who I am and who I strive to be and I decided early on in my adult life to do my best to make sure my kids are able to experience the same thing. I grew up in a family where we did a lot of projects together, from preserving fruit off our trees to planting new crops in the garden, but one that I remember the clearest was being vehicle free for a few summers when we were little. Now, at the time I wasn’t the biggest fan of this. We lived in a very hilly area so getting anywhere was a real workout of a bike ride. Looking back though I’m happy we did it. I became a better athlete for it, I learned about the value and also cost of owning and operating a vehicle and little did I know it was the start of a lifelong consciousness about my environmental impact and a love for fitness and exercise. I heard about carbon sequestration in 2006 when my two university track and field teammates and good friends were considering starting a carbon off-setting business with some land inherited from family in the Okanagan. 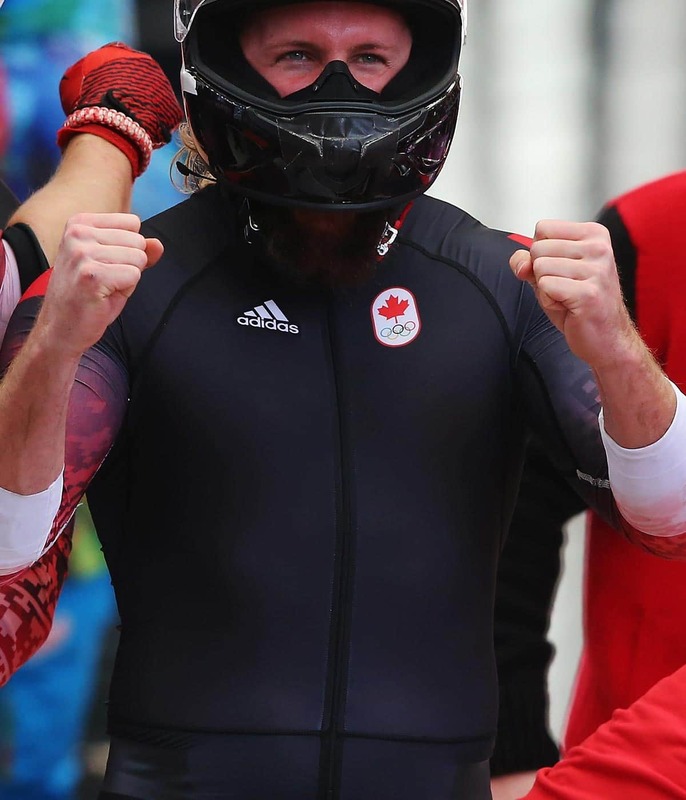 I was just beginning my career as a bobsleigh athlete and I was a bit blown away at the scope of the sport, and now with this new information I was learning from my friends the potential ballooning of my personal carbon footprint. All these new flights I was taking for races, not to mention shipping our sleds with us, and the car I needed, was all adding up. It was a big period of change in my life. I was going from being something of a jungle child, eating food mostly grown on our own land and spending my time running around outside, to a city dweller, buying all my food at the grocery store, waking up surrounded by concrete, the sounds of construction and car horns. I started to wonder what my impact was and if there was anything I could do about it. "How many trees do you think we have?" It was one of the questions I posed to my father during our weekly Sunday phone call. I had been doing some research on the Internet and had assigned a carbon footprint to myself: 18.69 tons per year. A commonly accepted value for carbon sequestration is seven pine trees per ton of carbon dioxide per year. This meant I needed 130 trees to offset my carbon footprint. To be honest, we already had way more than 130 trees on our family property, but I was doing this with a specific type of tree and I thought, “lets plant these anyway, may as well be carbon negative, plus it’s a fun project and will look great.” So as a family we planted over 200 lodge pole pine trees which would offset about 28.5 tons of carbon dioxide per year. Our current tree count to date that we’ve planted as a family (this is counting trees planted before I started this project as well) is about 1,000. They are a variety of different species, some sequester more carbon than others, but the 200 pines we planted stand proud on the hillside as our carbon sink. The beauty of a project like this is that you can watch the trees grow, and as they grow they offset more and more carbon. Every year when I go back home the trees are a little larger and it’s a reminder of how I’ve grown since those early days waking up with nature every morning. Now I’m by no means an environmental activist, and this is not even close to an exact science. I’m just happy to quietly do my part in hopes that generations down the road will be able to experience the natural beauty we’ve grown up in.